Aluminum Wiring – Brian Persons Front Range Home Inspections Ltd. 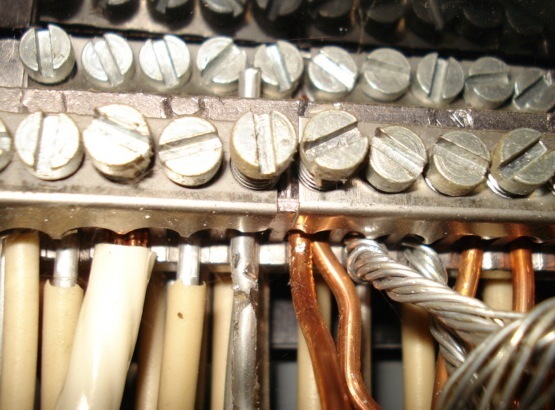 Between approximately 1965 and 1973, single-strand aluminum wiring was sometimes substituted for copper branch-circuit wiring in residential electrical systems due to the sudden escalating price of copper. After a decade of use by homeowners and electricians, inherent weaknesses were discovered in the metal that lead to its disuse as a branch wiring material. Although properly maintained aluminum wiring is acceptable, aluminum will generally become defective faster than copper due to certain qualities inherent in the metal. Neglected connections in outlets, switches and light fixtures containing aluminum wiring become increasingly dangerous over time. Poor connections cause wiring to overheat, creating a potential fire hazard. In addition, the presence of single-strand aluminum wiring may void a home’s insurance policies. Inspectors may instruct their clients to talk with their insurance agents about whether the presence of aluminum wiring in their home is a problem that requires changes to their policy language.